WE WILL NOT BE BEATEN ON PRICE! FIND A SIMILAR STUDIO AT A LOWER PRICE AND WE WILL BEAT IT! Student accommodation redefined. The Courtyard and Broomfield House offer fabulous studio accommodation designed specifically for modern student life, located within 4 minutes’ walk from Huddersfield University. With fabulous living spaces, relaxing, outdoor courtyard spaces and luxurious accommodation, giving you the ultimate student experience. If you’re looking for student accommodation in Huddersfield, then The Courtyard or Broomfield House is a great choice. 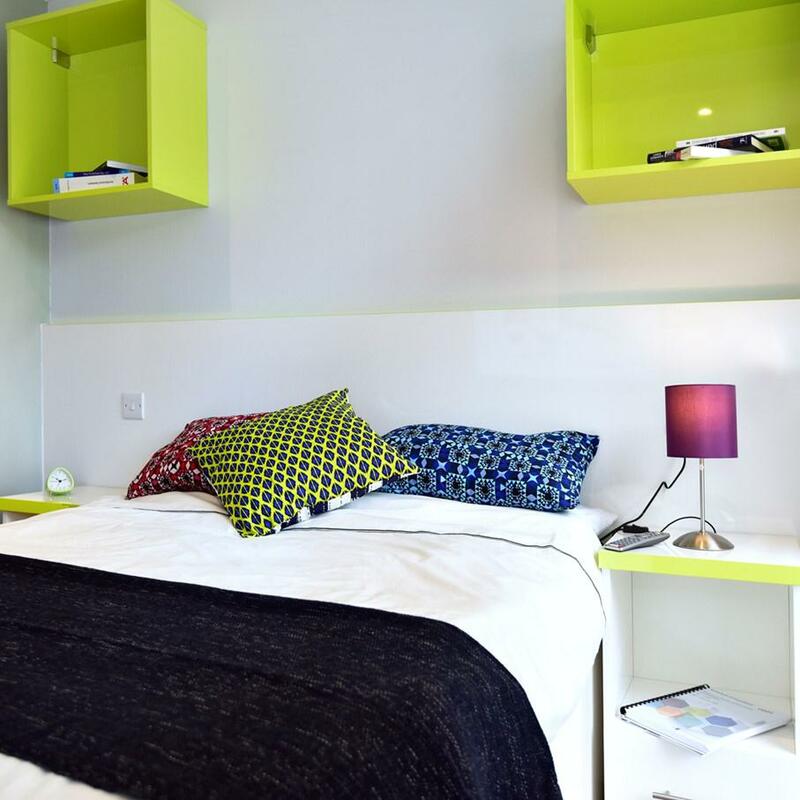 The Courtyard and Broomfield House Studio Apartments offer chic, contemporary self-contained living for modern students. It’s a quick four-minute walk to lectures at University of Huddersfield from your home The Courtyard and Broomfield House, so you can afford to lie in every day of the week. When you get back home to your spacious studio room, drop your books on your desk and head to the kitchenette to grab a drink. If you have an assignment due, don’t be distracted by the flat screen TV; instead, connect to the superfast Wi-Fi and focus, get work out of the way so that you’re free to spend the evening with friends. Head to the communal area to play pool, air hockey or PS4 with friends, or grab some popcorn and watch a movie in the cinema room. When you have time on your hands, visit Huddersfield Art Gallery to see works by LS Lowry and Francis Bacon, then refresh your wardrobe with a trip to Kingsgate Shopping Centre. Hunt for bargains at Queensgate Market and Huddersfield Open Market, where you’ll find everything from books to fresh produce and shoes, then warm up with a latte at Coffeevolution. On warm summer evenings, take the party to the outdoor area; invite friends over for a barbecue and swap stories under the stars. The Courtyard and Broomfield House offer fabulous living spaces, with a fully equipped onsite laundry and fitness gym. Just pack your bags and move-in. For a limited time only when you move into The Courtyard or Broomfield House you will receive free comfy bedding including Duvet, Pillows, Duvet Cover Set and Fitted Sheet. Amazing 50% discount for a limited period only. Subject to availability, move in before 01 September and benefit from half price rent when staying at The Courtyard and Broomfield House. 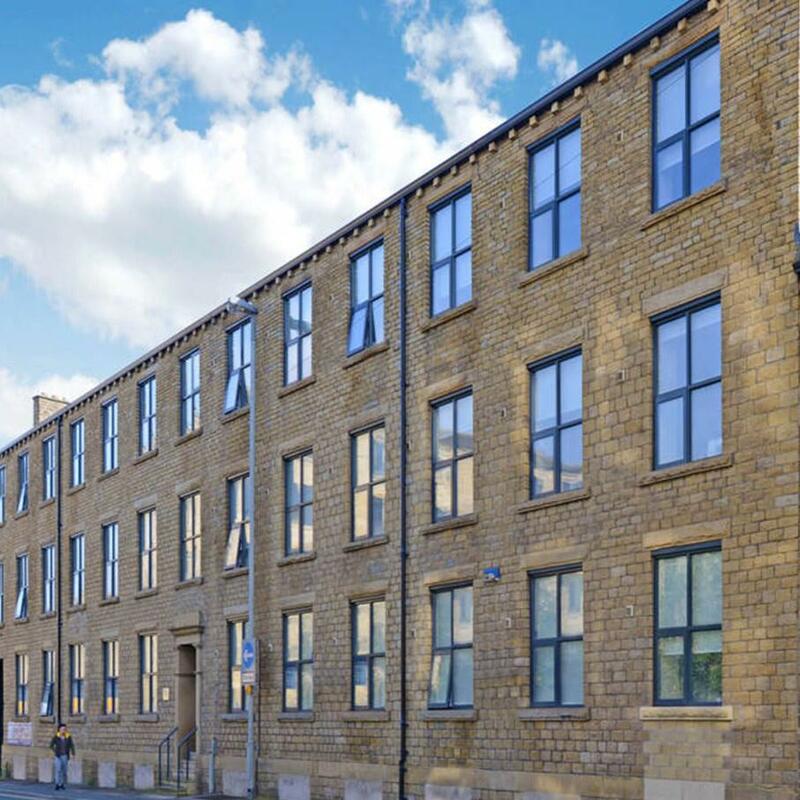 Amazing studio apartments only minutes from the University of Huddersfield, designed specifically for modern student life. The Courtyard and Broomfield House Studio Apartments offer chic, contemporary self-contained living for modern students. All utilities are included in the rent – water, electricity, heating, and WiFi. That makes budgeting hassle-free. The location is fantastic – we’re just 4 minutes’ walk from the University of Huddersfield and close to the town centre entertainment. The Courtyard and Broomfield House offers fantastic studio apartments, at prices that make luxury affordable. A huge screen and even huger sofa – escape study (for a couple of hours, at least) and immerse yourself in cinematic distraction. Rom-com, suspense, action or horror, with your own cinema on the doorstep, all you need to bring is the popcorn! And the best bit, no need to get a cab across Huddersfield to your cool studio apartment, just stroll to your trendy student flat in your socks. 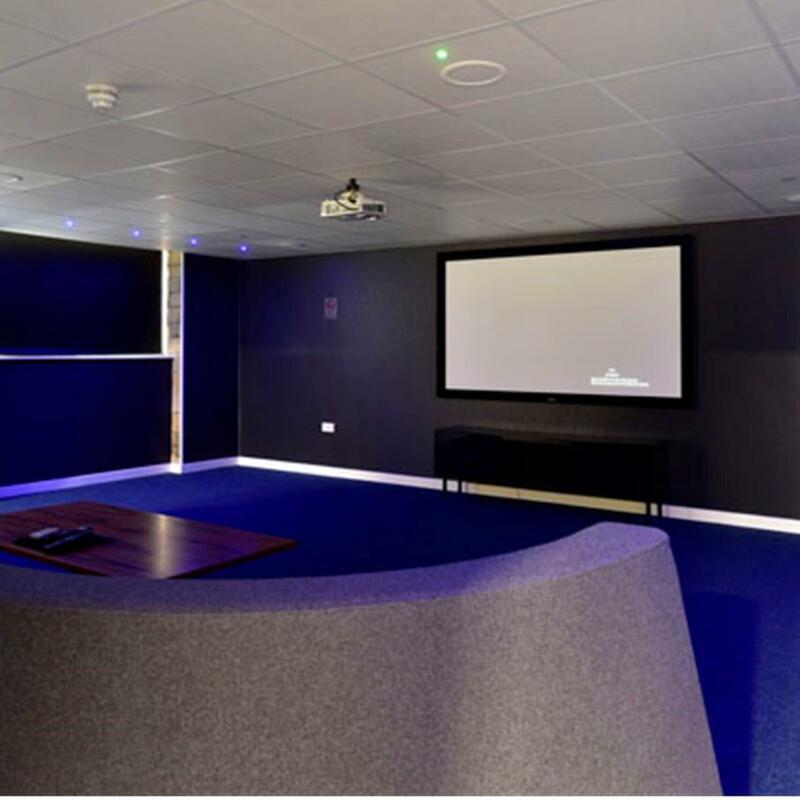 Book a viewing at The Courtyard and Broomfield House Student Apartments Huddersfield and take a sneak peak at our cinema room. Imagine that!? Nope, neither can we. Feel safe at The Courtyard and Broomfield House Student Apartments Huddersfield, without your finger you won't be able to get in! Our modern, student accommodation includes bio-metric door entry and CCTV. Book a viewing and see for yourself just how secure The Courtyard and Broomfield House Student Accommodation Huddersfield is. Relax, kick back and game! Our communal area needs to be seen to be believed. 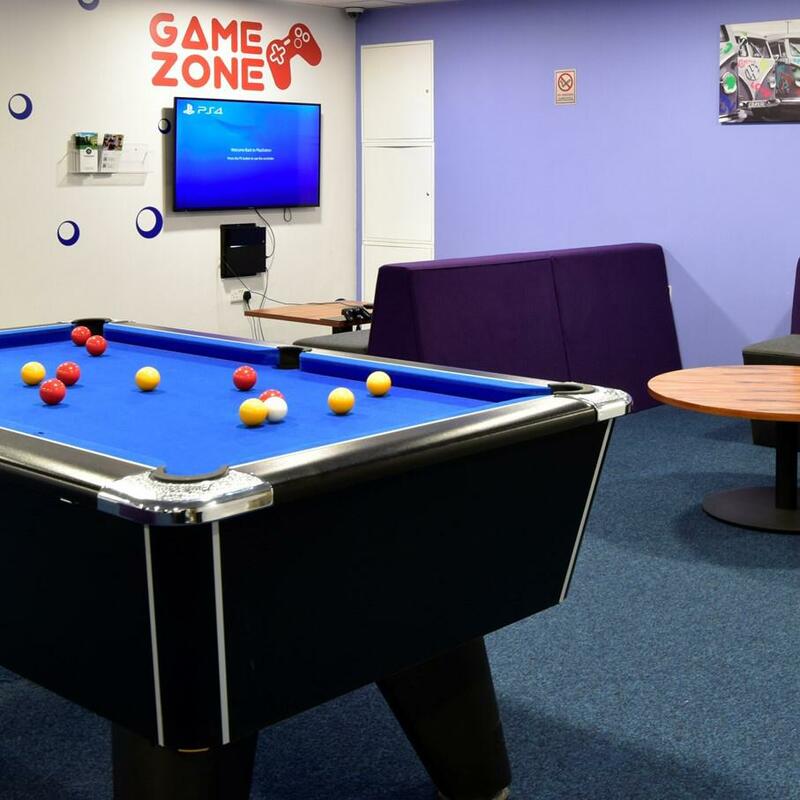 With Air Hockey, Pool, Playstation4 and TV, not to mention plenty of space to sit and study, we guarantee you’ll be spending a lot of time in this stylishly designed area. Book a viewing at The Courtyard and Broomfield House Student Apartments Huddersfield and check out our amazing chill out area for yourself. No Joining Fee, No membership Fee! Yes, its FREE, start working out and break sweat at the The Courtyard Gym. Joining couldn’t be easier, simply book your accommodation at The Courtyard or Broomfield House and enjoy 24/7 access to the gym. After your workout or a long day studying you’ll be able to relax and unwind with a game of pool or grab some pop corn and watch a movie. To view more book a viewing at the The Courtyard and Broomfield House Student Accommodation Huddersfield. As mum isn’t around to take care of your threads we have an on-site launderette (so, clean socks all the way). The best Huddersfield Student Accommodation Location (probably). A mere 5 minutes away from University of Huddersfield campus – stroll to your lectures without breaking a sweat! Surely the best Huddersfield student accommodation location, wouldn’t you agree? I am a 3rd year student and as a result I have experienced numerous student accommodation and landlords. Living at Broomfield House Student Accommodation Huddersfield has been my favourite and I wish to continue my stay come my final year at University. The staff are positive, polite and very efficient. They are easily contactable; whenever I have needed assistance, the problem has been identified and solved quickly. Contact is imperative when living in rented studio accommodation and tenants are updated with information in regards to Broomfield House Student Studios via email which I think is very effective. The building is maintained to a high standard; it is cleaned regularly and whenever I need to use the services like the ‘bin storage’ or ‘laundry room’ they are clean and tidy, ready to use. Student living Huddersfield doesn’t get any better than this. 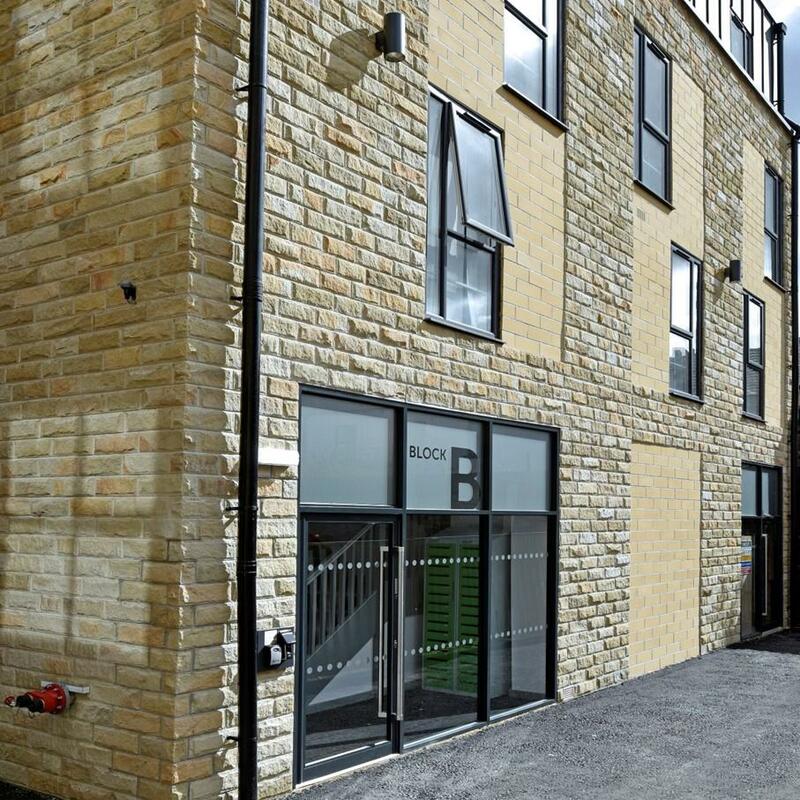 Broomfield House Student Accommodation Huddersfield is the perfect student pad. It takes me 10 minutes to get from my studio to my first lecture of the day. 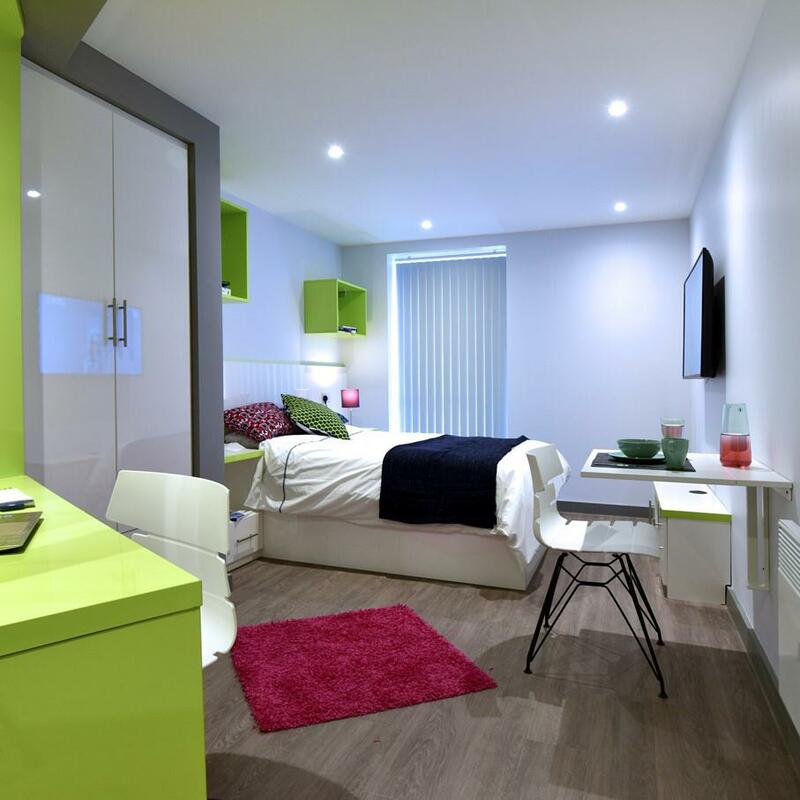 What it says on the tin… Amazing Student Studio Accommodation Huddersfield! I want to say how pleasant and comfortable the studio accommodation at Broomfield House is. The student accommodation and facilities at Broomfield House in Huddersfield are of an extremely high standard. It is located really close to the University and the City Centre, ideal for student living. I would definitely recommend The Courtyard to anyone studying at Huddersfield University. The other third party studio price is a genuine offer (as determined solely by Sasco Student Living).